Parenting Win! 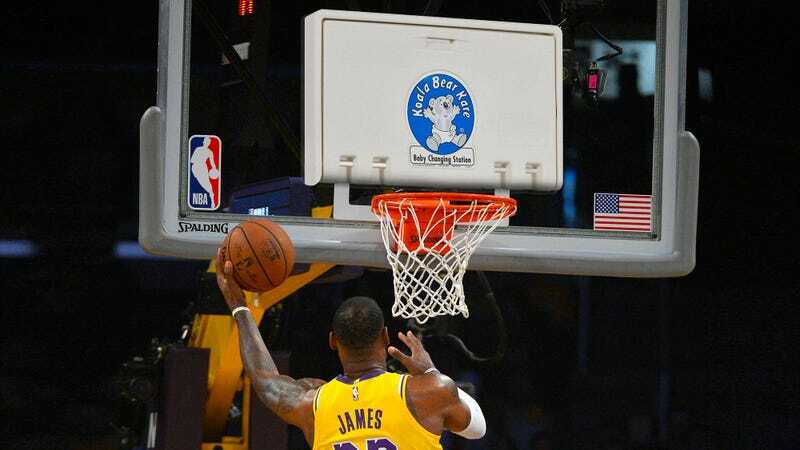 The NBA Is Attaching Diaper Changing Tables To All Of Its Backboards! Working parents know all too well how hard it can be to balance a job with the demands of childcare, but one American institution just took an amazing step to accommodate the needs of parents in their workforce: The NBA is attaching diaper changing tables to all of its backboards. It’s such a relief to see the league finally doing right by their players. For too long, NBA players with small children have been forced to either find a babysitter for every game or miss critical plays ducking out to the locker room whenever a diaper needed changing. But now that the league has ensured that a changing table will fold down conveniently out of all regulation backboards, any new dad in the NBA can carry their small children around the court with them during games, and when a diaper needs changing, they can just leap into the air, hang on to the rim, and conveniently take care of their baby right there on the court! This amazing policy is going to make life so much easier for all the players juggling basketball with the demands of raising a child. Kudos to the NBA for prioritizing the needs of every parent that plays in their league. MLB, NFL, you’re on notice because the NBA just raised the bar for parenting rights in professional sports!